our exclusive International Scout and Guide Camping grounds! These camping grounds are on an exclusively “Scout and Guide only” area of the IOAC campus and can accommodate hundreds of Scouts and Guides from all around the world! We are Ireland’s newest independently run Scout and Guide campsite and have our very own Adventure Centre on the same campus! So, for all you eager scouts and guides out there, come and have great fun and adventure at the IOAC!! Climb that High Ropes tower, shoot your Scouter in our archery Battlezone, work as a team to complete missions in an airsoft combat zone, use your knot tying and lashing skills to build the best raft on our lake, and so much more! For Leaders, our aim is that once you arrive at our gates and see our banners, you too can enjoy your camp! You can book your stay and all your activities long before you arrive at the IOAC! Depending on the wide range of activities, both on and off site, that you choose, we will look after your programme for you! Plus, we like to see you adults taking part too! The exciting activities and facilities that we have on offer are not just for kids! You will be assigned ample camping space to set your group gear up and hopefully mingle and mix with fellow scouts sharing the IOAC adventure! 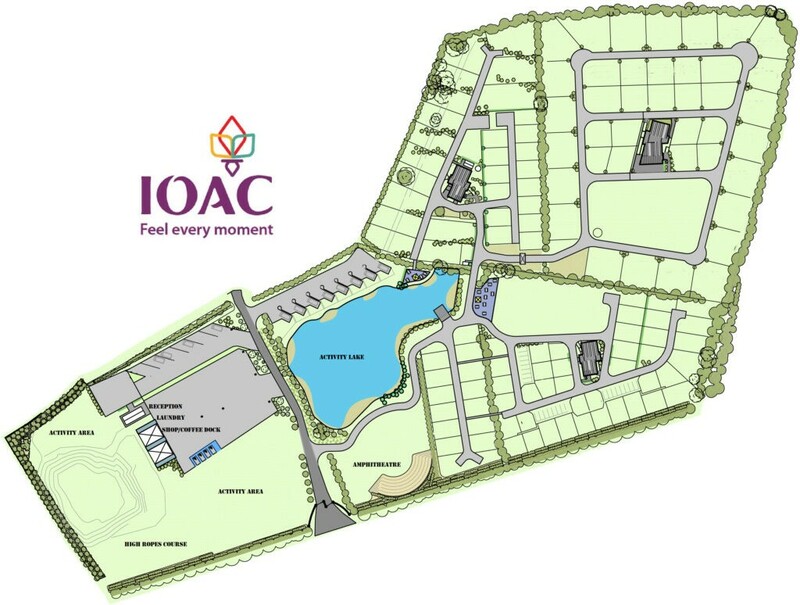 Whether it is for your main summer camp or for weekend camps or events, the IOAC has it all. State of the art toilet/shower and pot wash facilities that are strictly just for you guys! We will also have essential equipment rentals to ensure you don’t have to bring the kitchen sink! Running an event, such as a County or Provincial camp, we can cater for all your needs! The best thing about the IOAC Scout and Guide campsite is that it never closes!! We are open all year round and can accommodate winter, Easter and other off-season camps. Our 600+ seater amphitheatre will make for a huge campfire event, complete with mobile campfire pit!! The IOAC campsite is perfect for those adult-scouter only weekends away!!! Perfect for Scouter/Rover training and social events. This scout campsite is designed and run by experienced Scouters and who can also assist in running your One Programme onsite, including complimentary Campcraft Skills assessments. So, let us help you keep the “out” in Scout!